Leonardo DiCaprio is winning award after award for his starring role in this film (including his first-ever Oscar), which has topped cinema box offices all around the world. Also starring in the film is Tom Hardy, Domhnall Gleeson and young up-and-coming British actor Will Poulter (off of 'We're the Millers' with Jennifer Aniston). Described as being a historical action adventure film and based on a real person, The Revenant is set in the year 1823 and focuses on a party of fur trappers, on the hunt for fur in the Northern Plains area of America. 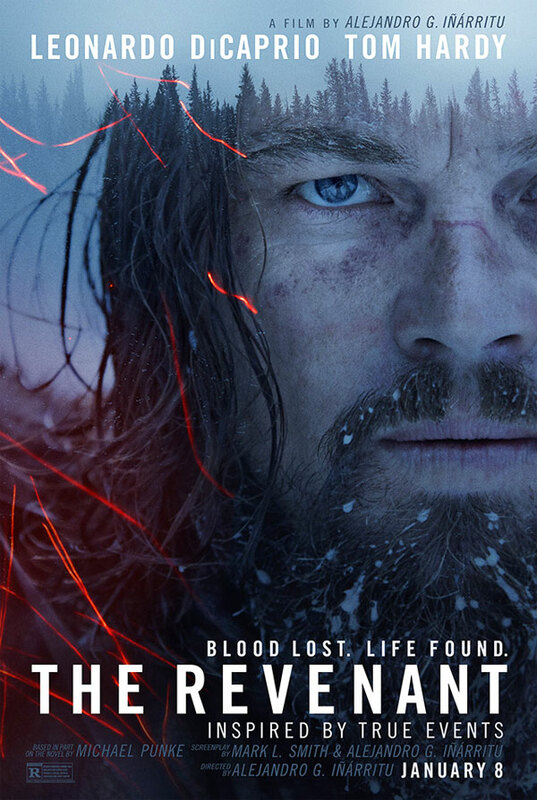 Leo plays experienced hunter Hugh Glass, who is attacked by Native Americans and a very angry bear, whilst enduring many other dangers and problems as he struggles to survive in the wilderness when everything seems to go wrong for him. This is definitely not a film for children, as indicated by its 15 certificate. I managed to see it the other day and I did find it quite gripping for a one-time watch, but I do feel that it has been rather over-hyped. Yes, Leonardo DiCaprio is an amazing actor in The Revenant and clearly the six months that it took to film this epic icy survival movie took their strain on everyone, including me watching it! Perhaps that's a bit harsh, but at 156 minutes long (over 2 1/2 hours), you need to find yourself a comfortable seat to watch this film, and make sure that you go to the toilet first or you might miss some of the action if you have to sneak out part-way through! For me, Will Poulter was the real star of the movie. No doubt, he is set to be a major star of the future, and rightly so. Nili Rating: 3 out of 5 - Worth seeing if you have an afternoon going spare.